The distance between FOX and Franz Josef is about 30 minutes, FOX is located at South while Franz Josef located at North. What is the difference between this two town and which you would like to choose for visiting as they are really similiar? Actually most of the visitor will say: not better, not worse, just different. *colour highlighted in yellow is better condition. You have better view of this two location after the above table right? I will talk about more details more. 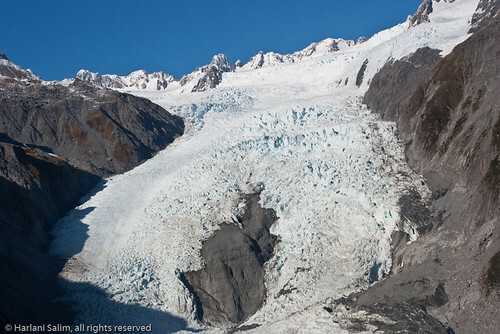 Because the relationship between topography, Franz Josef (FJ) looks more spectacular large, but in fact, Fox Glacier is larger and longer. When you want to participate in ice hiking activities, you need to register at the service provider, they will provide you some required equipment for hikking. After this, service provider will arrange a bus for bringing the visitor to the glacier parking. To compare the distance from parking to reach the starting of glacier, FJ need about 50 minutes walk while FOX need about 20 minutes walks. 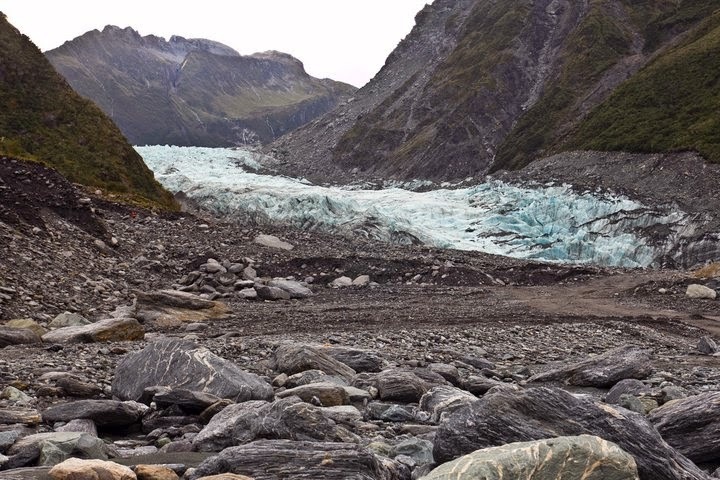 If you choose FJ for half day tour (4 hours), you are only walking on the glacier for about 2 hours but for this part of glacier actually you can touch it by yourself with free-of-charge without guide, strictly speaking, you have less than 1 hour on the glacier which is valuable with a guide, it is not worth enough. If you want to see the glacier without hiking, you are able to see the glacier after 3 minutes walk from parking while 20 minutes in FJ. For the commercial shops, FOX has lesser while FJ has more chooses and more cheaper motel provided. For photography, I would like to choose FJ as the blue points at there is much more than FOX. I was joined FOX for half day tour last time, but there are not really many blue points for photography. My friends went to FJ for full day tour and having captured many of the scenic scenery especially the blue point in glacier. Do you know you can visit the Glow Worm at FOX? And this is totally free of charge!!! The location is near to the town and need about 20 minutes walk from the path to the destination. The name is Minnehaha Track. Of course, you must visit it in night time. To me, I have experienced in FOX, and is amazing but not really have the "wow!!" 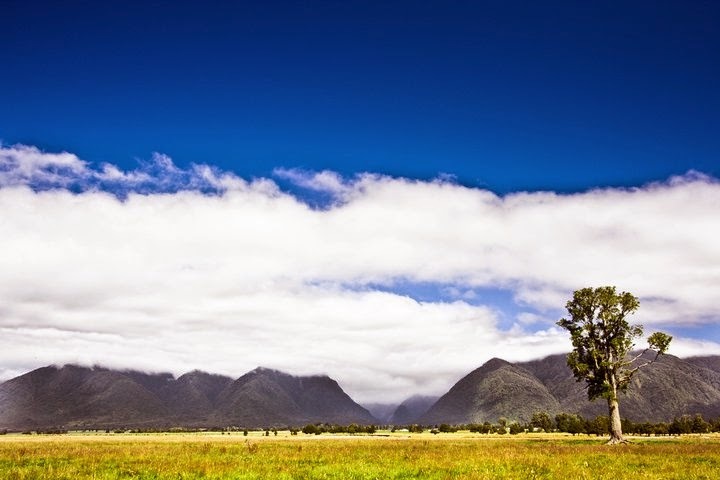 feeling, so I will go for FJ if I have another opportunity to visit New Zealand again. Try FJ for full day tour you will have no regret. Hi thanks for your post, it helped me decide. I think I will choose FJ because you mentioned it's more blue. Thank you for your review—it was very helpful to us.